About Us / Our History | Griffin Oil and Propane | Suffok Energies, Inc.
Griffin Oil Company is a second generation locally owned and operated petroleum supplier focused on meeting the diverse and growing energy needs of the Hampton Roads area. The company was founded by former Suffolk Mayor, W.P. Griffin in 1938 as a Sinclair Refining Company Consignee. During this time the company flourished in the Suffolk community by servicing the residential, commercial and abundant agricultural markets offering heating oils, all grades of gasoline, and diesel fuel. The company grew significantly during the 1940’s prompting its move to its current location on Holland Road. In 1976, after the retirement of Mr. Griffin, Wayland T. Pond III, a lifetime Suffolk native, bought the business. Wayland Pond had worked his way through Central Fidelity Bank up to the position of Vice-President. When the opportunity presented itself, he decided to purchase Griffin Oil Company and make it his new career. It is through Wayland Pond’s leadership that Griffin Oil Company became a front runner in many diversified energy products. Shortly thereafter, the company became incorporated and began operating as Suffolk Energies Incorporated T/A Griffin Oil Company. The growth realized by Wayland Pond led to an expanded heating fuel market that included a heavy emphasis on gasoline distribution and an introduction into convenience store ownership and management. Through the ‘80’s and ‘90’s, Griffin Oil Company continued to grow by marketing a diverse platform of energy products. One of the drivers of this growth was the decision to become a bulk and package fluid distributor for BP Lubricants in 1989. 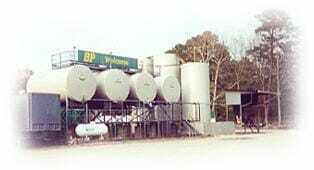 The BP Lubricants business business evolved into serving all of Hampton Roads as well as Northeastern North Carolina. The company grew on the philosophy of servicing everyone from small garages to the biggest localities in Virginia with the same reliable, personal service. 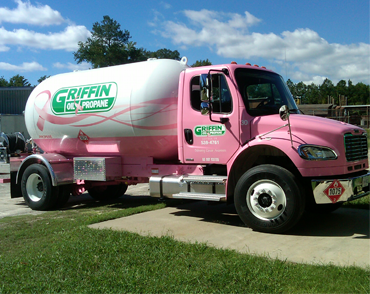 A few years later in 1995, Griffin Oil Company entered into the propane business and became Griffin Oil & Propane. The propane business quickly found a niche by being able to provide another energy product to its existing loyal customer base. Into the 2000’s, Griffin Oil & Propane became 2nd generation when Christiaan Pond joined the company. Having grown up in the business, Christiaan’s interest had always been in the growth of Griffin Oil & Propane. Over the next few years, the company was able to increase its footprint through acquisitions that included Tidewater Propane in 2005, Reginald E. Brothers Oil Co. in 2007, and Parker Fuels in 2008. Today, Griffin Oil & Propane is a leading family-owned fuel and propane distributor serving Western Hampton Roads. Our company delivers heating oils, diesel fuels, gasoline, propane, and lubricants through our fleet of modern service and tank trucks. Griffin Oil & Propane serves its core residential, commercial, and agricultural customers from our offices in Suffolk and Wakefield and bulk plants in Suffolk, Franklin, Wakefield and Surry. Our goal of providing the most RELIABLE and FAIR service is accomplished through great employees and loyal customers!